Someone recently mentioned to me that I have never really discussed the half diminished chord and how to use it –and I realized they are right. I want to remedy that over a short series of two posts. 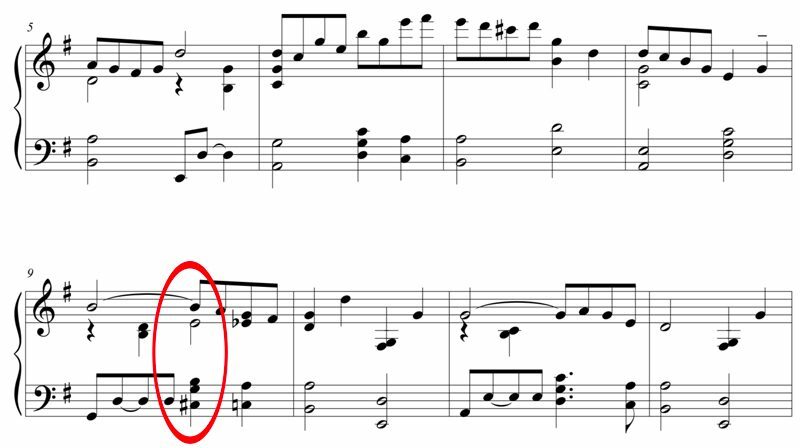 As a quick reminder, a half diminished chord is a stack of 4 notes that are separated by minor thirds, except the top interval which is a major 3rd. C, Eb, Gb and Bb is a C half diminished chord. Note that there is a minor third between C and Eb, a minor third between Eb and Gb and a major third between Gb and Bb. The more useful way to think of a half diminished chord is as a minor 7th with a flat 5. If you think that way, you will probably find these chords easier to identify and use. Most often, you will see a half diminished chord labeled like this: Cm7(b5). You may also see a circle with a slash through it after the chord number/letter: Cφ. The #IVm7(b5) substitutes for the I. The first one is fairly easy to explain so let’s get it out of the way. While a I chord and the #IVm7(b5) may initially not look like they have much in common, they actually share two notes and arguably three notes. In the key of C, the #IVm7(b5) contains the notes F#, A, C, and E. Of course, C and E belong to the I chord in the key of C and A is often used for color in a C major chord too. 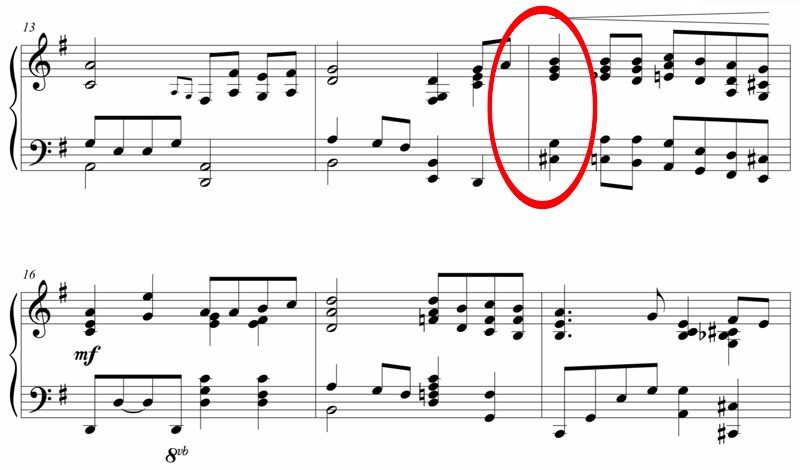 To make this simple, if you come to a place in the song where you are supposed to play a I chord but the melody note is either the root, third or sixth of the I chord, you can probably safely substitute a #IVm7(b5). Obviously, you probably don’t want to do this at the end of the phrase because this substitution is hardly a resolution. I tend to use it more at the beginning of phrases. Here are a few examples from recent arrangements. These are both in G major so the #IVm7(b5) is built on C#. This is “I Shall Know Him” and at bar 15, you would normally hear a I chord moving to some version of IV halfway through the bar. I have thrown in this substitution mainly for surprise. This arrangement is “I Need Thee Every Hour” and while I start bar 9 with a I chord, I throw in the C#m7(b5) halfway through the bar to create some harmonic movement. Note that in both of these cases, the #IVm7(b5) is resolving to some version of IV (any version will work). My personal preference is IVm6 but you can use IV, IVM7, ivM7, etc. If you watch my music, you will see that I am not shy about using this chord. I love it and I love the progression that it tends to start. Very often, I will walk from #IV to IV – iii – biii – ii, etc. That covers the first application of the half diminished chord. Next time I am going to dive into that second application. I will take time to explain the concept of target chords, and hopefully will make the whole thing a lot less intimidating. See you then. This is a great article. Thank you so much. Do you have any other articles/courses that demonstrate many more chord substitutions? Keep up the good work. Thanks, Yes, there are hundreds on the website.